Mouly Artwork — American Fine Art Inc.
Mouly’s work is light in hue and subject, allowing the viewer to take a step back and enjoy the aesthetic pleasures in life. His organic, feminine shapes, scenes of harbors, and romantic still life compositions are created with elegant brushstrokes and subtle blending. Taking notes from the French Masters, namely Picasso, Matisse, and Braque, Mouly puts his own twist on Fauvism and Cubism to create his own style. Born in Paris, France on February 6, 1918, Mouly was interested in drawing as a child but did not intend to make it a career. He was first sent to a drawing class as a form of punishment, but exhibited a natural artistic talent. In 1935, after a number of odd jobs and while employed by a wine merchant, Mouly began taking night classes in the arts at the Cours Montparnasse 80, where he remained until he served in the military during the Second World War. Mouly had a moment of clarity when he was mistaken as a spy and arrested by the Germans in and after spending a year in solidary confinement; he resolved that he would dedicate himself to becoming a well-known artist. Inspiration consumed Mouly as he walked the halls of the French Art academies, overwhelmed with visions of late night critiques and the history behind the pioneers of a movement. Jacques Lipchitz, the great sculptor, became his mentor and assisted with his development into cubism. 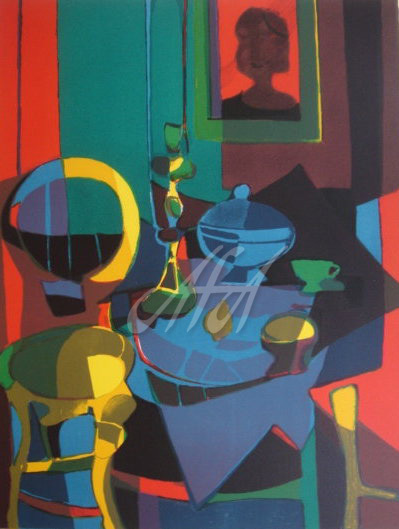 By the mid-1940s, Mouly's art began to gain notoriety from his peers and collectors. In 1945, his paintings were exhibited alongside the paintings of Matisse in the Salon d'Automne in Paris. 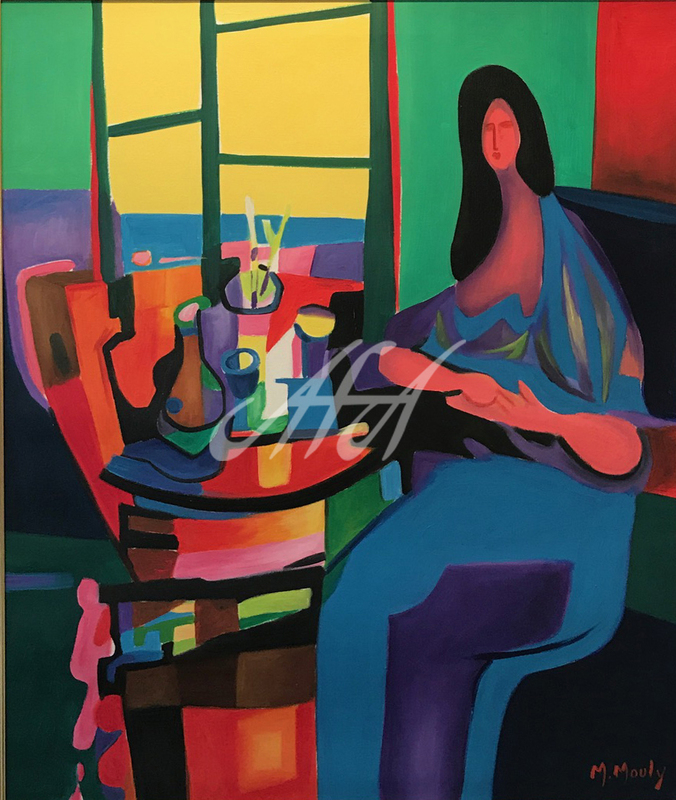 While one may note his use of the deep, bold colors typically used in Matisse’s Fauvist works, or the Cubism of Picasso, Mouly’s style is uniquely and unmistakably his own. 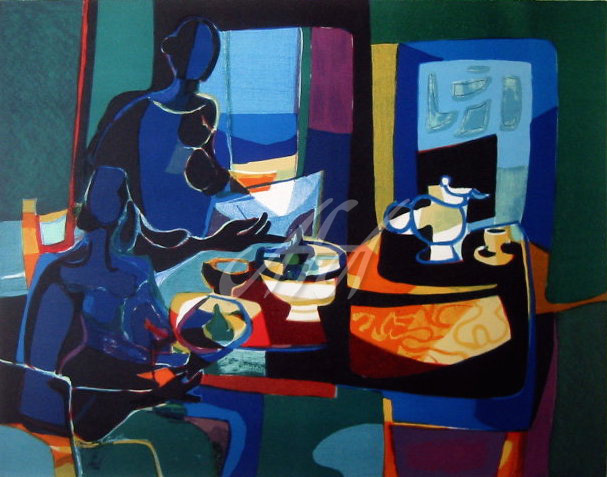 By the 1950s Mouly was already seen as an emerging brilliant and skilled young painter. In the mid 1950s, he began to work in the printmaking medium of lithography and he was soon recognized as a master printmaker. He has received two of France’s highest honors, including the Chevalier de L’Orde des Arts et Lettres in 1957 and the Premier Prix de Lithographie in 1973. 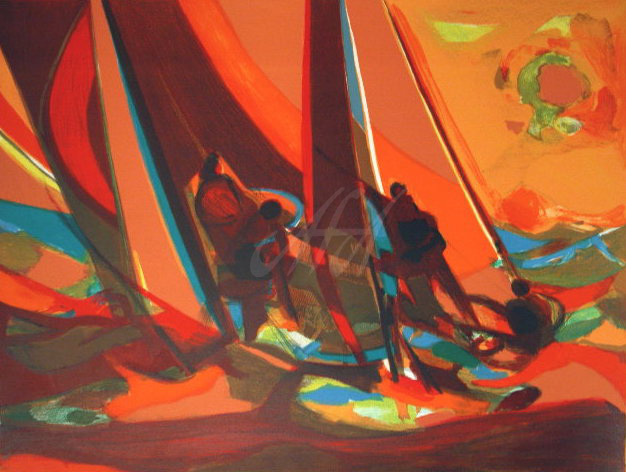 Since his first exhibition in 1947, Mouly’s artwork has become a part of the permanent collection of 20 museums internationally, and has received widespread acclaim. 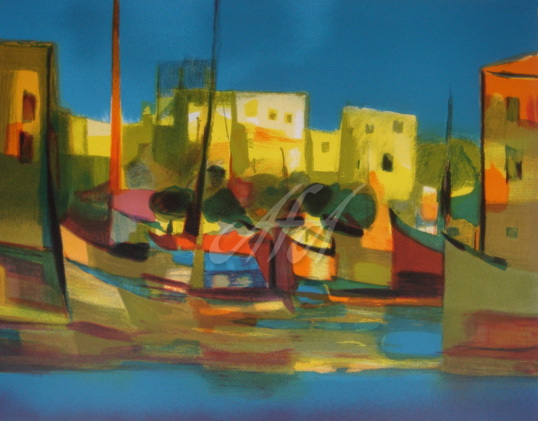 Marcel Mouly died on January 7, 2008, a month before his 90th birthday. "His art is pure and direct in its message," said art historian and writer Joseph Jacobs. Picasso, Braque, Matisse, Rouault, Vlaminck, Chagall, Vuillard and Dufy are his patrimony, and he has carried their mantel with unflagging dedication. 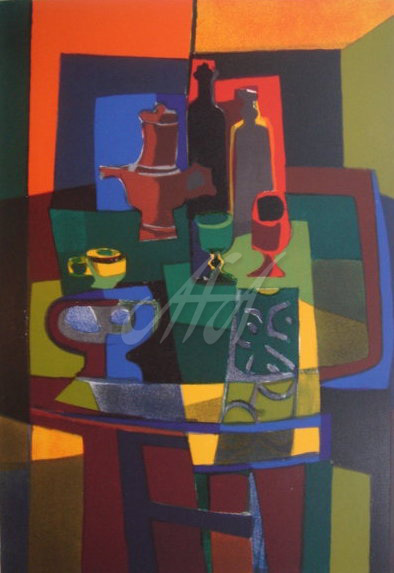 American Fine Art, Inc. is proud to feature the original paintings and limited editions of Marcel Mouly. Visit our 12,000 sq. ft. showroom in Scottsdale, AZ or call today. Our website is offered only as a limited place to browse or refresh your memory and is not a reflection of our current inventory. If you need to learn more about collecting, pricing, value or more information, your International Art Consultant will assist and provide the one on one attention you deserve. We hope you find our website helpful and look forward to seeing you in Scottsdale soon.